Health & BeautyMegabol Dibencozide Magnum - 100 kaps. 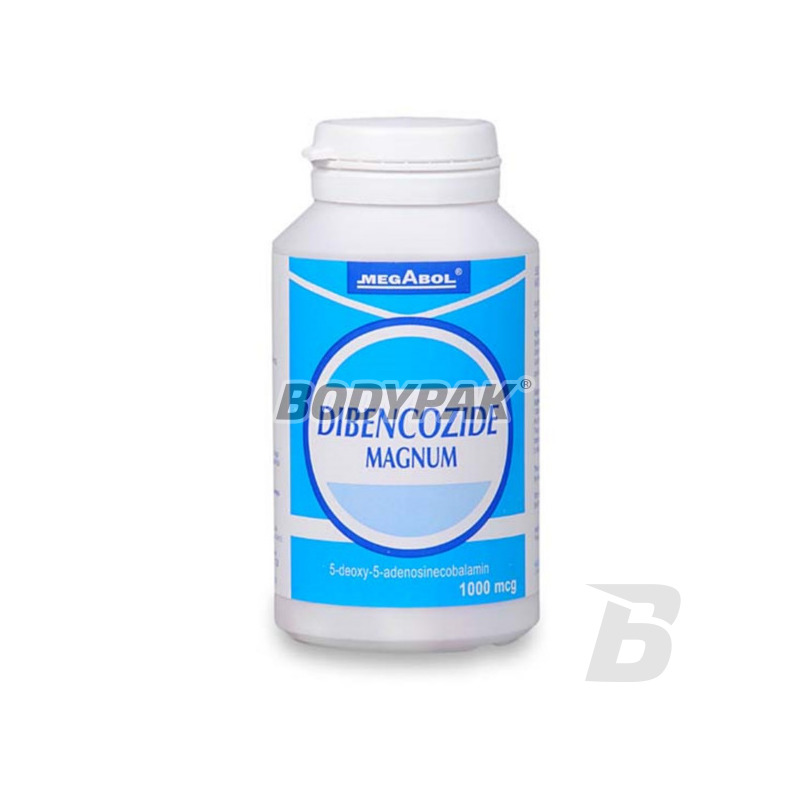 Dibencozide Magnum - a measure with a strong anabolic effect. The product used in the buildup phase, and the development of muscle strength. 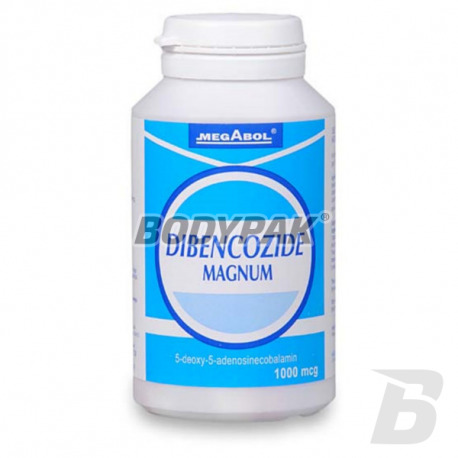 Megabol Dibencozide Magnum - 5-deoxy-5-adenosylcobalamin - means a strong anabolic effect. The product used in the buildup phase, and the development of muscle strength. Operation starts usually within a few days of use. Metabolic steroidal agent acting as a biostimulant in the process of protein synthesis in ribosome. Involved in the synthesis of methionine from homocysteine ​​and thymidine synthesis. Is present as a hydrogen transfer agent in the synthesis reactions of nucleic acids and transmethylation reactions. Megabol Dibencozide Magnum ™ after 10 hours. the acceptance is undetectable in plasma. In people susceptible to the formulation comes to the beats of the body giving effect accelerated the development of muscle tissue to the improvement of force parameters. The measure is also indicated for people who do not train regularly, but only want to quickly improve your physique. Dibencozide Magnum ™ to increase the food intake in subjects with underweight. Specific biochemical reactions involving the coenzyme cobalamin can be divided into two groups, of which one of them is that requiring the presence of 5-adenozylokobalaminy (AdoCbl-Dibencozide). Transforming a suitable cobalamin (eg. Cyanocobalamin) is in the form of koenzymatyczną enzymatic process and is mediated by CoA synthetase B12. Joining portion 5 deoksyadenozylowego-cobalt atom of cobalamin is preceded by reduction, by which cobalt is a monovalent (Co1 +). Deoxyadenosine donor is ATP. This reaction occurs in the presence of a diol or dithiol and reduced flavin or reduced ferrodoksyny. Sprawdzałem produkt na sobie, teoretycznie powinien zwiększać apetyt ale ja od zawsze dużo zjadam, więc niestety nie odczułem jego działania.